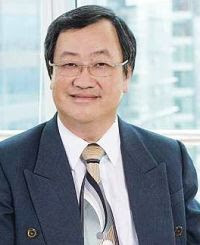 Khoo Chuan Keat, Senior Executive Director for PwC Malaysia, should be a man who is running scared now. 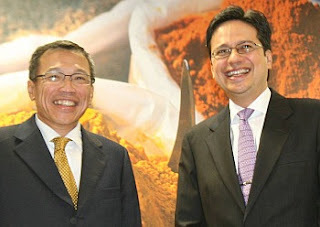 But who knows what runs in the minds of those who hold senior positions in a firm like PwC Malaysia, when they sign false affidavits like it was going out of style. i) There is no contradiction whatsoever between what was stated by counsel for the 2nd Defendant on 11.8.2011 and 19.9.2011 before this Honourable Court and the Defendants' 1st Affidavit. PwC Malaysia counsel, Shearn Delamore's Rabindra Nathan, knew on the 11th of August 2011, that his instructions with regards to the filing of the documents "found" in the purported safe was false, with Rabindra having to state that he has misconstrued his clients instructions to the point that they cannot file an affidavit as promised by Rabindra in his counsels' undertaking. As will be shown in the days to come, Rabindra has gone from misconstruing his clients' instructions as to when the documents were "found", to which of the documents were "found" first and which later, and now to where the documents were "found". PwC Malaysia now find themselves painted into such a tight corner because of the continuous "misconstruing" their instructions have been subjected to by their counsel, Rabindra S Nathan, that they have finally, after seven long months, agreed to show their documents, which is something the Honourable Tuan Vazeer Alam Mydin Meera could have decided to allow from day one.